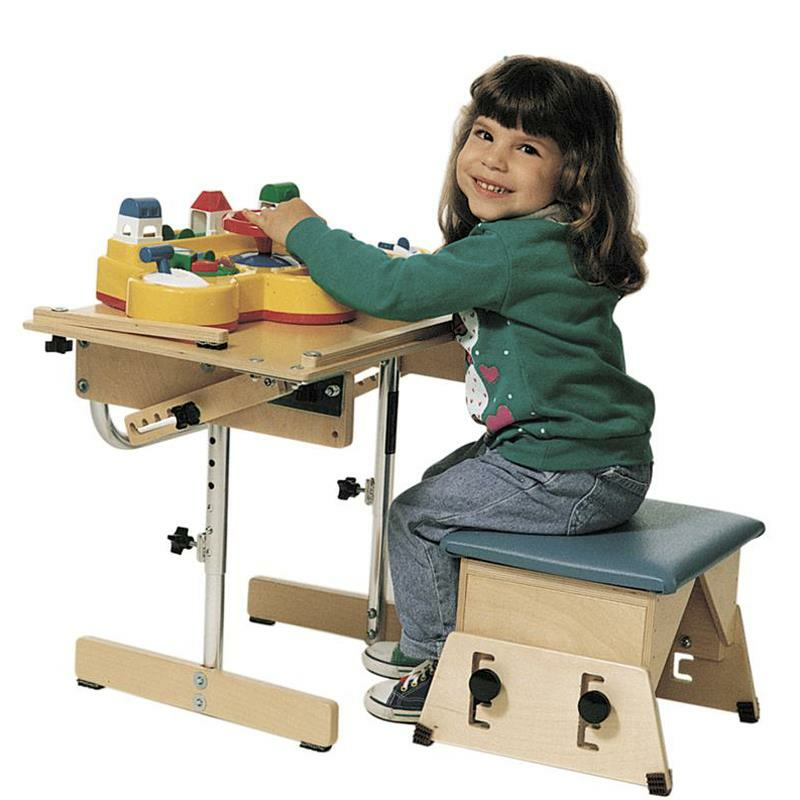 The Kaye T-seats are based on the Kaye Adjustable benches but are specifically designed to fit under Kaye T-Tables. 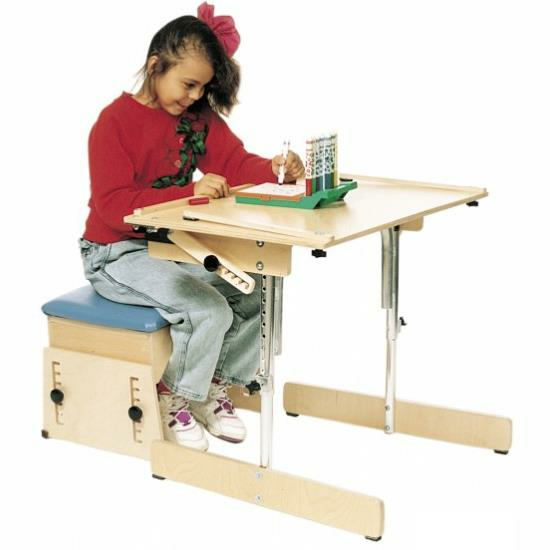 Like the wider benches, the T-seats are adjustable in height and can be tilted to place more weight on the feet and provide a more vertical pelvis. These smaller seats are convenient for homes and schools. Small 180lbs 7" to 11" Yes No 10-1/2" x 12"
Large 180lbs 10-1/2" to 17" Yes No 14" x 17-1/2"